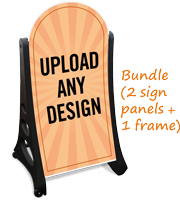 Create your own sidewalk sign with our custom template. Upload your design and add your text message to it and you're good to go! 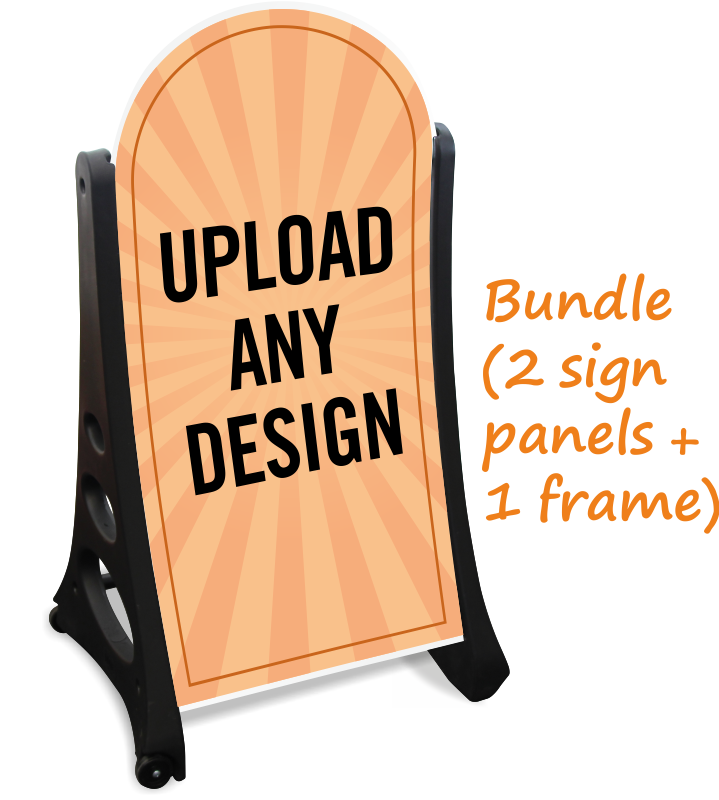 • Bundle comes with 2, 48" x 24" panels and a portable frame that holds the sign. Panels sit 54" tall when in frame.